Not much new today, really. Coffee tasted pretty good. We might even get some rain, finally. As far as that health care law decision yesterday? Yeah, I was surprised – maybe “stunned” is a better word. Then I put in a pacemaker. Funny, like everything else with this law, I felt like most doctors I spoke with were similarly surprised, then shrugged their shoulders and went about their business. Perhaps these other doctors were being polite. Perhaps they didn’t care or felt too absorbed in the other changes that have already taken place as a result of the law. Perhaps they were wondering what new initiatives or data entry fields will come our way in the name of staying “competitive” in these “challenging times,” or perhaps they’ve already started weighing their other options – I’m not sure. But most of us are putting our heads down and doing our jobs. We still have to worry about our patients, certifications and re-certifications, families, malpractice premiums, education expenses, unending charts/results/e-mails and even our health. We simply can't afford the luxury of political banter. Medicine is still interesting, rewarding, troubling, lucrative, but it’s becoming increasingly unrelenting, too. Thirty-million more people added to our national health care roster will certainly keep us busy. Even now, we’re learning new business ways to function. We are using scribes, mid-levels and lower-levels, too. Our smartphones have officially become more important than our stethoscopes as speed of care trumps thoroughness of care as far as business matters are concerned. After all, information and how it's used is everything now in medicine - touch, not so much. But I still wonder how we’ll continue to pay for all of our new top-down health care bureaucracy when our health care bill (even with the newly anointed “Obamacare tax”) costs continue to exceed inflation year after year after year. Our new law may be Constitutional, but it still just a big experiment. But that’s not something a doctor should care about. I should just stop worrying. After all, the Big Boys of health care will handle it, remember? And now everyone has insurance! No one wants to hear what I think about the Supreme Court's health care decision today, but everyone wants to hear what you think (whether it's about the decision or not). What If Obamacare Were Found Unconstitutional. Sleep well tonight folks, tomorrow will be the beginning of a whole new... well, something. We observed that many videos were produced by professional societies, news reports, and didactic lectures from reputable universities. However, these were not the ones with the most views. The videos that were viewed most often were those posted by media not related to any professional society or part of a news report. Similarly, videos that described personal experiences were “liked” as well as “disliked” most often and had the majority of comments. This indicates that people are more interested in and show active participation in their peers' experiences about a disease rather than in professional conferences or didactic lectures, irrespective of authenticity or the source of such material. This observation is in accordance with the social learning theory, which asserts the significance of peer education in eliciting behavioral change in individuals. In our study, the distinction between videos targeting the layperson vs healthcare providers was unclear. This might be the reason for underutilization of available video resources by people in general. Further, we found that a large number of videos were irrelevant, which indicates that good videos are often mixed in with a plethora of irrelevant content. A layperson often has to sift through this vast information and runs the risk of being misinformed. Hence, why doctors need to be on social media. Another take-home message from this study: professional societies need to make their videos shorter and use patient experiences to bring their message home. It's a story as incredible as it is incomprehensible: On 17 March, 2012, a world-class soccer player from England, Fabrice Muamba, has sudden cardiac arrest (SCA) on a European soccer field. The audience and remaining players stand stunned as CPR is initiated (video here). An automatic external defibrillator (AED) is applied to his chest. Two shocks from the AED are delivered on the field, another as he was carried to the ambulance nearly five minutes later, and 12 more shocks were delivered on the way to the hospital. None of them worked. 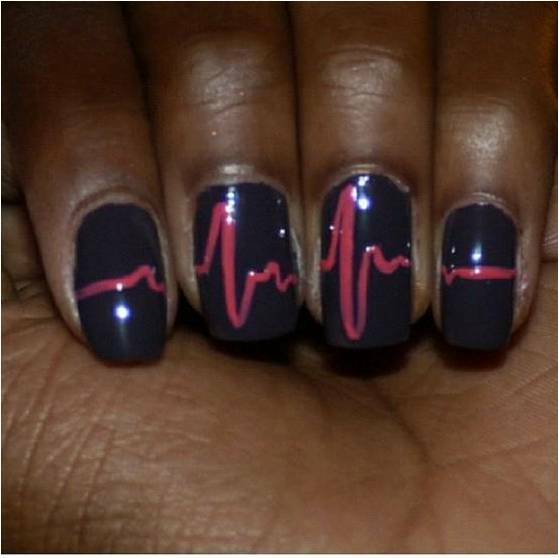 Ultimately, 78 minutes of CPR were performed before the sixteenth shock miraculously restored sinus rhythm. He then underwent therapeutic hypothermia, and, just as incredibly, awakened neurologically intact some time later. He later undergoes implantation of an implantable cardiac defibrillator (ICD) as secondary prevention against future sudden cardiac arrest. Fast forward just three months later. Yesterday, England's soccer team reached the quarter finals of soccer's World Cup tournament against Italy. In a hard-fought match, time ran out after 90 minutes of play with the score tied 0-0. To advance to the semi-final match, a shoot-out must decide the victor. The air is tense. The world watches in anticipation. Mr. Muamba, also watching it all, can only sit and watch as his country's players take the field. So what does he do? It was the humorous mark of a champion who is indeed happy to be alive. Sadly, England lost to Italy in the shootout and although we have yet to learn if Mr. Muamba required the use of his device yesterday as a result, we certainly learned a lot about the character of the man and the remarkable efforts of the medical team who made this remarkable story possible. h/t: C.G., a faithful reader. There they were: four nervously-smiling faces in flourescent-white starched lab coats, entering the elevator. "Two please," one of them answered. As I stood with them quietly, I thought about my first day of residency: the excitement, the uncertainty, the nervous energy. What a cool time in your career as a doctor. The thought of jumping right in and beginning clinical work was so welcomed after all those months of study, preceptorship, and hand-holding. Finally, a chance to make a difference. "Where are you guys heading?" "An orientation meeting," they answered. I hope they see a patient today. It seems like everyone whose anyone is betting on not only what the Supreme Court will decide about the constitutionality of the Patient Protection and Accountable Care Act, but when. Everyone that is, except doctors. That's because most doctors I know suspect the announcement will be made on Friday of this week. That's because employers choose Friday to fire someone because it disrupts the workplace the least. It keeps the negative chatter to a minimum as the employee's desk is emptied. And since the law was conceived and executed almost entirely by Big Business, most doctors I know are betting that Friday will be the day. Perhaps more importantly, for doctors it really does't matter what the Supreme Court decides. That's because the day after the decision (whatever it is), doctors will still get up, go to their clinics or hospitals, wash their hands, and continue taking care of patients, whether there's a health care law, part of a health care law, or no health care law. Big business knows this, so should you. It's hard to believe - well, maybe not - that the Chicago-based American Medical Association (AMA) would be so out of touch with America's obesity epidemic that they are now proposing a soda tax to "fight obesity." We should ask ourselves, especially in light of the growing cigarette use in teens these days, how that approach has worked for cigarettes. Even worse: I know it's the Chicago Way, but since when have doctors become a taxing authority? Increasingly doctors, especially the paternalistically elite doctors, demonstrate they have no comprehension of the impact their taxes will have on America's poor. After all, who are the ones drinking the 44-ounce Super Big Gulp while they buy their groceries at 10 pm? Are they not the same people who are picking their kids up from daycare at 7 pm working service-oriented, hourly wage, poor-benefit jobs - or two even jobs - and are drinking those Big Gulps just to stay awake because the quality of life for the low-income American worker has deteriorated so significiantly? Has anyone ever considered that many of the people drinking these sugary drinks have very limited dollars and are drinking their lunches? How much does an organic lactose-free sugar free Kambucha Tea from Whole Foods cost? If you care about what's happening to the People of Walmart, go in their neighborhoods, gas stations, and day care centers and get a real sense of how difficult life has become for this demographic. Get out of the John F. Kennedy School of Government and walk the streets and talk to the people. As yourself if changing human behavior really so simple as imposing a sales tax on goods. But then again, what else should we expect from an medical organization based in the state with the highest sales tax in the US? 3. That our AMA advocate for continued research into the potentially adverse effects of long-term consumption of non-caloric sweeteners in beverages, particularly in children and adolescents. (Directive to Take Action)"
As ultimately passed, the policy and directive falls short of suggesting that taxes be imposed on soft drinks as I suggested. I regret the confusion that I may have caused. Still, I remain puzzled why taxes on soft drinks are even part of a "stepwise approach to addressing the obesity epidemic" when no data exist that demonstrate taxes on anything facilitate weight loss of any kind. "I am a teacher. When I speak, a few dozen teenagers listen ... usually. With good reason I anticipate no Nobels — but I take unceasing delight in kids. I believe in them and in what we do together, and evidence suggests that after more than two decades I'm not so bad at it. But I chanced upon the job. No boyhood reverie or parental path-charting headed me in that direction. I'd had no formal training for it, had taken no classes aimed at it, no tutorials, no weekend seminars. I did not go to teacher camp. Instead, long ago I found myself in a city far from home (Honolulu) with a thin wallet and little cause to be picky. A good man at Punahou School took a chance on me. And in those first few years I was not especially terrific. This alone served to suggest to me the enterprise might be worthwhile. A few among the brass wondered if I had what it took. But they were patient, I stuck to it, paid attention and learned. And today I prize what I do all the more because once upon a time it didn't come easy." True story: last night, I woke panicked, wondering if I had closed my charts and checked on a patient’s results. It was 1 am. I stared at the ceiling. I tossed and turned. Realizing I had to concede defeat, I got up, fumbled to find my keyfob, then realized I had to turn on the light to see its password because the damn thing isn't backlit, logged in bleary-eyed to my home computer, and clicked away. Then it dawned on me: I am suffering from Post Traumatic Dashboard Syndrome. The signs of this syndrome are everywhere. Doctors working feverishly behind computer screens clicking this way and that as their daily lives and workflows are manipulated by ever-increasing requirements for documentation tied to electronic medical record. Lives depend on it. So do dollars. And, some day, so will pay. Data mining is health care’s de rigueur fashion statement. We measure now because we can: mountains of data from mountains of sources, arranged neatly into a productivity dashboards comparing this month data to last; this year to last. But we should ask ourselves where’s the data field for teaching? Where’s the data field for face-time with the patient? Where’s the data field for staying late? Where’s the data field for taking call? Where’s the data field for sleepless nights? Third Party Central: that's what health care has become in the US. Third party here, third party there, third party absolutely everywhere! In the business of medicine, I am constantly amazed at the number of third parties that have sprung up to assist patients and doctors through the maze of insurance coverages, co-pays, benefits, non-benefits, and pharmaceutical programs - just to name one example. It's gotten so confusing that pharmaceutical comapnies are now getting into the act. What people don't realize is how this adds to the costs of goods in medicine. The latest example of this fiasco are the new anticoagulant agents. Since they're new, they're expensive. Since they're expensive, insurers don't want to pay for them. Yet because they innovated, researched, and developed a novel drug through a incredibly expensive regulatory process, pharmaceutical companies want to make as much money as possible to reward their stockholders, board members, and employees. The end result? Patients can't afford the price. Not even close. But no matter: a GROUP of people can pay for it for you - this is called i.n.s.u.r.a.n.c.e. (Hence the collusion inherent to the new health care law, but I digress) But there's a myriad of policies out there for i.n.s.u.r.a.n.c.e. with a myriad of co-pays and deductibles. This makes it virtually impossible for a doctor (or even the pharmaceutical company itself) to know how much a patient should expect to pay for their drug each month. Added to all of this, doctors really don't want to have to spend all day dealing with the multitude of "barriers to entry" constructed by the insurers. But if doctors don't deal with the insurers and their pharmacy customers, the patients won't get the drug. So what's a drug company to do? Why, the drug company turns to another third party! I learned that this is excactly what Janssen Pharmaceuticals has done for its drug Xarelto (rivaroxaban). Janssen promotes this "value added feature under the name "Care Path" that is managed (according to their "Benefit Investigation Form" by TheraCom, LLC. To sit on the phone and find the best price based on the patient's particular insurance coverage for patients so doctors don't have to. They've forgotten that doctors no longer receive pens from the pharmaceutical industry. As a result, filling out Benefit Investigation Forms becomes a hassle as doctors have to leave their examination rooms to ask: "Does anyone have a pen?" Yep, it's just another important addition to health care of tomorrow, courtesy of Janssen Pharamceuticals, TheraCom, LLC and your $8.22-a-day rivaroxaban pill. From an harshly worded editorial published in the Texas Heart Institute Journal by Herbert L Fred, MD, MACP this month entitled "Medical Education on the Brink: 62 Years of Front-line Observations and Opinions*:"
"Over the sixty-two years that this report covers, medical education has moved its focus from the patient to the laboratory and now the doctor. As a result, we currently have a training system that is doctor-centered, technology-driven. computer-dependent, algorithm-loving, and Internet-based. And thanks in large part to the ACGME, we are exchanging sleep-deprived, competent healers for a growing number of "wide-awake technicians." Many of these limited-work-hour trained individuals cannot take an adequate history, perform a reliable physical examination, create a sound management plan, or communicate effectively. Therefore, they don't deserve the image of competence that their training certificates convey. So it all boils down to this: The kind of health care that American medicine is capable of providing and the kind the American people actually receive are worlds apart. Consequently, those of us in medical education have a major obligation and responsibility to close that gap." "First, we must abolish the ACGME mandate on work hour limits. When discussing the mandate with program directors in medicine and surgery around the country, I hear nothin but dissappointment, dissatisfaction, and disgust - my sentiments exactly. Therefore, given its previously listed drawbacks, coupled with its unproven benefits to patient outcomes despite 9 years of intense evaluation, the time has come for program directors to unite and overthrow the mandate. Getting rid of it, however, will be difficult and will require strong professional leadership and solid support from the public, which at present favors the limited hours. In place of the existing mandate, we could (and should) revert to the unlimited work-hour system that has served all disciplines well for 100 years. Or we could select program directors from each specialty to devise a work-hour system best suited for and limited to their particular discipline. Either move would be a great step in the right direction, because the existing mandate is our biggest obstacle to producing competent physicians." I think Dr. Fred has hit the nail on the head, but while he beautifully articulates what more senior physicians have observed over the past ten to twenty years, I think that unless there are rewards to physicians for their long hours from family, there will be very little going back to the days of old. Doctors of tomorrow have accepted lower wages in exchage for a more balanced life-style. Since payments to physicians are not likely to increase in the years ahead thanks to health care reform, I see no incentive for younger doctors to accept longer residency work hours any longer, even if program directors demand them. It IS sad to see the deterioration the skills Dr. Fred mentions in our younger doctors. But I find the younger doctors who have completed training are still eager to learn. Educators of today should stop expecting doctors of tomorrow to learn everything in their three or four years of residency training with "unlimited hours." The availability of information online is incredible and I would suggest that medical educators would better serve doctors of tomorrow by teaching (and showing) them how to continuously think critically about their patients and published studies. Even more important they should learn an even more important skill: to learn how NOT to say "I don't know" but rather "I don't know but I'll look it up." Sure we should turn from computers and lean more on our patients as educators- after all they still are, and will continue to be - our very best teachers. But if we use computers as a useful tool rather than a crutch, our patients and students will be better for it in the long run. Fred, Herbert L. "Medical Education on the Brink: 62 years of Front-Line Observations and Opinions." Texas Heart Institute Journal Vol 39, No. 3, June 2012, pp 322-329. (Contents here). *I regret that the publication is not yet online and because of copyright restrictions, I hesitate to publish the entire work here. 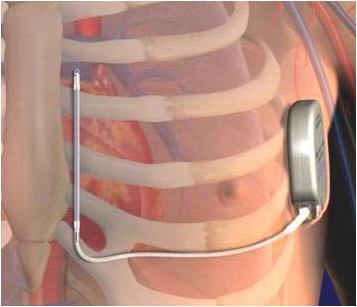 Boston Scientific recently closed their deal to purchase Cameron Health, maker of a novel, entirely subcutaneous implantable cardiac defibrillator (ICD) that does not use endovascular leads. For Boston Scientific, this venture offers some much-needed originality into its cardiac rhythm management portfolio. For patients, it offers an opportunity to have device installed for primary prevention of sudden death without the need for intravascular leads (wires) placed directly inside the heart. The device still is not yet approved for clinical use in the US by the Food and Drug Administration (FDA). While there are clearly some advantages to a implantable cardiac defibrillator that does not need to have endocardial leads, there are some disadvantages, too. Where this will leave the clinical acceptance of this new technology remains to be seen. The Subcutaneous ICD (S-ICD) implantation location. The new subcutaneous ICD system still has the same components of more conventional endovascular defibrillation systems (leads, generator, and external programming computer) but the lead and generator are implanted in a new location near the left mid- ro posterior axillary line with the lead tunneled medially to the left parasternal area (diagram of this positioning is pictured to the right and a chest x-ray of an actual implanted device is seen here). It has only one shock output (80J) and a battery capacity of approx 21 shocks over 5 years - many fewer than that of more conventional ICD which can supply appoximately 200-300 shocks at max output of 35-41J over their lifetime (personal communication). Because of the higher energy output required, the charge times are also much longer with the subcutnaeous ICD comparde to conventional endocardial ICDs. An entirely extravascular ICD system has distinct advantages for patient's with no vascular access or with pre-existing indwelling catheters that might risk infecting their permanent defibrillator leads (e.g., dialysis patients or patients receiving chemotherapeutic agents via Medi-ports or the like). Fortunately, the S-ICD's ability to appropriately defibrillate ventricular fibrillation or ventricular tachycardia appropriately was 100% in patients studied the pivotal clinical trial. Another interesting note is that flouroscopy was not need for implantation of the subcutaneous ICD in the majority of cases. Only where defibrillation thresholds were found to be unacceptable and lead location needed to be checked what fluoroscopy used in the pivotal trial, and most of that use occurred in one center. While many of these devices may be implanted in conventional operating rooms based on anatomic landmarks, it was clear that if the device had poor defibrillation thresholds or inability to induce ventricular fibrillation to test the device, a portable flouroscopic C-arm might still be needed. For electrophysiologists, the right device for the right patient will ultimately depend on several factors once the S-ICD is approved: (1) the systems' reliability AND longevity (there were three early battery depletions in the pivotal trial), (2) the technical support provided, (3) the clinical indication for the ICD, (4) physician acceptance of the technology (5) the patient co-morbidities, and to some extent, (6) cost. My bet is that secondary prevention patients (e.g., those who have already had a ventricular tachyarrhythmia) and patients still in need of pacing (conventional or biventricular) will tend to continue to receive endovascular ICD devices. 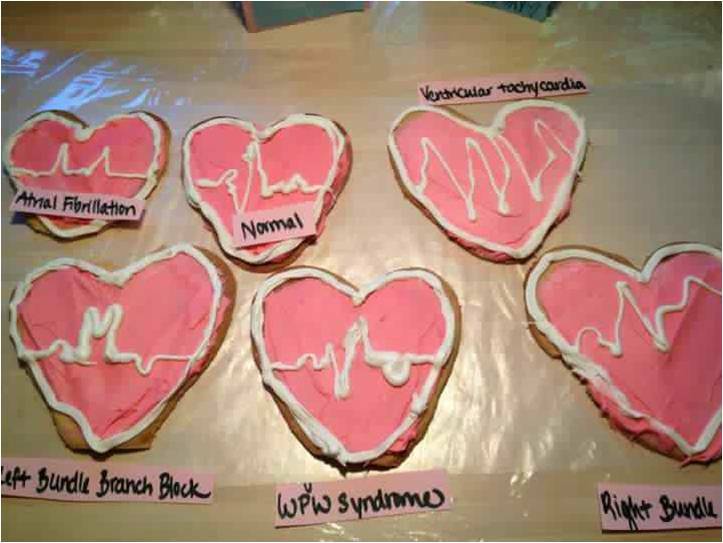 Patients with several congenital disorders (HCM, Long QT, Brugada, etc.) or indwelling catheters will be more likely to receive subcutaneous ICD devices in the years ahead, provided they do not have a significant arrhythmia burden. The problem is, doctors can't predict the arrhythmia type or arrhythmia burden that might develop ahead of time. Subcutaneous ICD therapy greatest asset, simplicity, is also it's greatest limitation long-term. The device simply can't adapt its therapies to changes in clinical situations (or arrhythmias) that develop later. As such, the widespread acceptance of this technology still has a ways to go, but its niche market remains, making it a valuable addition to the EP's options for life-saving therapy for our patients. FDA Executive Summary P110042 Subcutaneous Implantable Cardioverter Defibrillator (S-ICD) System, Cameron Health, Inc. April 26, 2012. The field of medicine is being reshaped by politics like never before. Doctors, for the most part, have been caught flat-footed as laws like the American Recovery and Reinvestment Act of 2009, Patient Protection and Affordable Care Act and Health Care and Education Reconciliation Act of 2010 were enacted. Many provisions of these bills, written in large part by special interests and lawyers, weave through aspects of US Social Security and tax codes so complex that even a US Supreme Court justice joked that the task of having to review the complex bill violated the Eighth Amendment’s ban on cruel and unusual punishment. It has become increasingly clear that if politics is in medicine, then doctors had better be in politics. But what does it take for a doctor to enter politics? Would you ever consider it, given the drastic changes that are underway in medicine? It’s an interesting question to ponder. So it’s not every day a candidate for a State Senate seat in Illinois comes from your neighborhood, so I was fortunate to have the opportunity to pose these questions to Illinois state Senate candidate, Dr. Arie Friedman. By way of background, Dr. Friedman is a general-practice pediatrician in the Northern suburbs of Chicago and holds a faculty teaching appointment with Northwestern Medical School. He is married, has five kids and, like me, is a former Navy veteran (so he can’t be all bad). What prompted you, a physician, to enter politics? First of all, Wes, thank you for this opportunity. I am a huge fan of yours. Your writing captures the practice of medicine in a way that even a simple country pediatrician like myself can identify with. I have also been influenced in a big way by your frustrations and concerns about health care reform. That’s really the reason why I jumped at the chance when you suggested this interview. In regards to your question, I initially became interested in politics because I was very concerned about what was happening with health care. This was back in 2009 and what I knew about health care reform worried me. At that time, I decided - very much on the spur of the moment - to run for U.S. Congress. Although I lost that primary, I made some great political connections and that experience has formed the foundation of my current campaign for the Illinois State Senate. Illinois faces a fiscal crisis of unprecedented scale. If we don’t fix the State’s fiscal situation, all Illinoisans will be hurt in ways we can’t even begin to foresee. What did you actually have to do to become a political candidate in Illinois? Why a Senate seat as opposed to a one as State Representative? Where does the money come from for such an effort? The process of becoming a candidate has a number of technical steps. The most critical is the petition process of actually getting your name on the ballot. In Illinois, a prospective candidate for the State Senate must submit between 1000 and 3000 valid signatures to the Illinois Board of Elections. That seems like a lot of signatures until you start gathering them at which point you realize that it is a really really lot of signatures! We were actually one of only two GOP campaigns to submit a full 3000 signatures. After getting your name on the ballot, the campaign comes down to voter contact, name recognition and getting your message out there. The money for this effort comes from from contributions. The amount of time a candidate has to put into raising money from friends, family, and complete strangers is extraordinary. Getting over the reluctance I had in asking people for money was one of the most difficult hurdles I’ve faced. Now, I’m pretty open about it. If you want things to change, you have to contribute to political campaigns. Without contributions, a political campaign is dead in the water. What kind of time commitment is there for you to do this? How do you manage family, a practice, and this effort? Running for office is second full-time job. The only way anyone can manage this process is if they have a very supportive family. My wife is a full partner in this project. It’s a sacrifice for me to be this busy, but Michelle and I believe what we are doing is very important. On the professional side, my partners have picked up the slack and will be doing more of that as November comes closer. I chose this particular State Senate seat because I thought it was the best opportunity to have a voice in Springfield. The 29th has been redistricted in a way that makes it very attractive for a candidate like me. In the end, you can only vote on legislation if you are able to win an election. What words of advice would you give to a doctor who might want to consider entering politics? Give me a call! Seriously, I’ve learned a huge amount about the mechanics of running for office and would be happy to discuss them. Also, get involved in your local party organization. Contact your county and township party chairmen. These individuals are usually old political hands and are very eager to welcome newcomers. In my case, my county and township chairmen have become mentors, strong supporters and good friends. Why are doctors important for politics anyway? Health care is a huge part of what government does. Here in Illinois, we spend about half of our entire general budget on health care. Despite that, if I’m elected I will literally be the first physician in history elected to the Illinois General Assembly. If physicians care about the future of health care we simply have to begin earning seats on the legislative side of the table. Regardless of party, I believe physician have a very special insight into the needs of our patients and the role of government in health care. Any ideas as to how you might start to fix the Illinois Medicaid funding crisis? The current crisis in Illinois Medicaid cannot be exaggerated. Over a relatively brief period of 10 years, the size of Medicaid has doubled. The current yearly cost of Medicaid is approximately $14 billion out of a general state budget of $33 billion. One way to get the cost of Medicaid under control would be to reduce the number of people enrolled. 10 years ago, the number of Illinois Medicaid recipients was approximately 1.4 million. Now, it’s 2.7 million. Unfortunately, the federal health care law prohibits significant reductions in our Medicaid rolls. That leaves us with the sort of unsavory reductions in services and reimbursement rates that we saw this year as the only other budgetary solution. Ultimately, the rolls will have to be reduced one way or another due to the unsustainability of the current system. Remember, things that can’t continue won’t. One last comment. If we were able to get Illinois’s economy turned around with a pro-growth and pro-jobs agenda, we would improve the situation a lot. That’s because we would then have more taxpayers and more revenue to go around. For that reason and many others, I’m a big advocate of pro-growth policies. What are your thoughts on tort reform in Illinois, especially given the current political climate? Remember, Illinois has passed major tort reform legislation three separate times on a bipartisan basis. The only reason these laws are not in effect is that they were overturned by the Illinois Supreme Court. I think there’s a developing consensus in Springfield that tort reform should move forward and that it should focus on ideas such as expert witness panels, medical courts, and loser-pays rules. Further, I have been amazed at how many non-medical professionals and business owners are supportive of these changes being applied broadly to Illinois’s judicial system. However, the trial lawyers are powerful opponents. They have already contributed significantly to my opponent and I’m sure they will spare no expense to avoid having a physician in the State Senate. How can doctors who don’t want to become candidates themselves still help those who do? Contribute money, volunteer for a campaign and get your friends involved. The American electoral system rewards those who show up. Pick a candidate who stands for what you believe in and do everything you can to help. Doctors have a reputation being politically apathetic. Honestly, it’s somewhat deserved. It is an uncommon physician who contributes regularly to candidates and assists with campaigns. Those who do are highly regarded as advisers and trusted volunteers. Don’t underestimate how much our fellow citizens - elected office holders and candidates included - trust and look up to us. If you want to have a very rewarding experience, contribute to and get involved with a political campaign. Thanks for taking a bit of your precious time, any last thoughts you’d like to share? I want to reemphasize the importance of getting involved. Three years ago, I was just another spectator throwing pillows at the TV set. Once I made the decision to get involved, I found that I could really have an impact. Regardless of your profession, if you are concerned about the political situation you simply must take it upon yourself to contribute to the dialogue in some way. Whether it be through donating money, volunteering your time or actually running for office, it is your personal responsibility to make your voice heard. Otherwise, it won’t be - it’s as simple as that. June in the United States heralds the month when residencies end and new ones begin. While much will be written soon about the dangers of entering hospitals this time of year (this story never seems to tire with mainstream media), I would like to step back and reflect on why doctors should consider attending residency graduations. I had the pleasure of doing so last evening. Excitement - With all of the dreary news of health care reform and its implications to doctors these days, it is refreshing to see the excitement of young doctors and their proud supportive families as they move on to the next chapter of their life. In limited quantities, naïveté is a beautiful thing. We were there once, remember? It was interesting to observe that despite the uncertainties ahead (and the chuckles that were heard as this fact was mentioned) the mood still seemed bright to all. What job is better, right? Perspective - If you really want to hear the skinny on health care, go to a residency graduation and talk to a wide variety of doctors - both new and old. The varied perspectives are helpful to see where things are going. For instance, I spoke with a well-respected gerontologist: she mentioned how residents she trained loved her rotation but decided on dermatology instead because of their $200,000 in loans. "I mean, seriously," she said, "... the skin? But then again, how can they ever expect to pay amount back, with interest, before they retire doing what I do?" Or another perspective: there were many more women that I have remembered in years past, and certainly more women holding tiny babies or with young children than I ever remembered. Impressive. And I thought medicine was hard! But balancing the demands of medicine and family, too? I stand in awe of these professionals in life-balance and time-managment. Finally, a more concerning observation: a few graduates will be doing locum tenens work next year. Maybe this is how they wanted it; maybe not - but we should wonder, have we let these people down? Will this be a new trend in the years ahead? Gratitude - It is nice when the teaching staff show their appreciation of particularly strong residents in each year of training. Likewise, when residents show gratitude to those who have helped them along the way, it's even nicer. I particularly like when the residents offer a special award to their favorite nurse on the ward. Talk about acknowledging people that matter! The simple acknowledgement of professional colleagues from all levels that go the extra mile day in and day out is too often ignored. Taking time to acknowledge these folks without respect to their "rank" in the patient care hierarchy should be the norm, rather than the exception. Surprises - It's hard to beat the senior skit: poking fun at the people and experiences we all endure in medicine makes the bitter pills of long call nights and tough cases easier to swallow. If we can't laugh at ourselves, then who can? Residents who have lived, breathed, laughed and cried together as they move from clinical service to clinical service are uniquely qualified at reminding remind us of the good, bad, and ugly of what we do each day through parody. In an effort to assist the American Psychiatric Association with the publication of the fifth edition of Diagnostic and Statistical Manual of Mental Disorders (DSM-5) expected in May, 2013 it seemed only appropriate that a DSM-Tw (Twitter) supplement be provided to help classify newly emerging personality types on Twitter. After all, the third and final (really, the FINAL) comment period for the DSM-V criteria ends June 15th! 292.891 Caffeine-induced disorder: Newscycling Disorder - chronic obsession with Tweeting main stream media news stories. For instance, all topics that have an association with medicine are cited: even acne studies. Diagnostic finding: first to tweet the story so that others will "retweet" their tweet, as if it was their own. Gaining followers is the name of the game, so they occassionally venture off on tangents, like American Idol, Justin Bieber or Venus in front of the sun. 307.213 Separation Anxiety Disorder of Childhood: The Pollyanna - They can never be nice enough. Really. If it isn't nice, it won't be mentioned, retweeted or fav'd. But if it's about flowers, kitty cats, or the like, count on a high resolution picture link to Flickr or Photobucket. 301.811 Narcissistic Personality Disorder: The Narcissobsessive - They love themselves and they love Twitter. So they tweet anything and everything. A diagnostic feature: tweets-to-followers ratio typically exceeds 50:1. Coffee shops, diners, movie themes are common topics. 297.32 Shared Psychotic Disorder, Boy (or Girl) Wonder Professional - Typically very sincere, advocates for a cause. Well-liked by the Twitterverse. Happy to share your tweet or there's. Folds their underwear. 300.112 Conversion Disorder: #Hashtagger - One word tweet like "loser" with an attached concatenated hashtag like #runswithscissors. So, what's your personality type? Other personality / behavioral characteristics you'd like to provide? Time is short! They need our help! Blood pressure at home? Check. INR check at home? Check. Cholesterol blood level at home? Check. Maybe an echocardiogram at home, too? Check. Hey, maybe there's something to this! A cardiologist with an MBA has launched a telemedicine business starting with international retailer Walmart (NYSE: WMT) with the goal of providing affordable healthcare in areas underserved by providers. Dr.Raj Shah, who runs a 37 year-old, 10-physician cardiology and internal medicine practice in Langhorne, Pennsylvania, is the founder of Telemed Ventures and CEO of Smart Care Doc. Having formed the company nearly three years ago, he opened its first telemedicine unit in Bensalem in suburban Philadelphia and another is scheduled to open in Willow Grove, Pennsylvania later this month. The unit includes a flat screen TV and a dentist-style chair and has a set of bluetooth-enabled medical devices administered by an on site nurse including a digital stethoscope, a handheld EKG device, a finger pulse reader and a digital thermometer. A light pen camera is used to look into ears, at the throat or skin lesions. All of the readings from these devices can be transmitted to the attending physician or entered into a computer and sent to the physician in real time. Nurses also provide immunizations, minor wound care, and other services. Despite Shah’s presence at Walmart, his relationship with the big box retailer is only as a tenant, so he is not tied to a partnership agreement. But he hopes to expand the practice if enough people use the service to rural areas across the country where Walmarts are located. Walmart declined to comment. While this $59 model might work pretty well for preventative cardiology and parts of diagnostic cardiology, I'm not sure interventional cardiologists will be too happy with their door-to-balloon times. Hopefully this will inspire other physicians to consider social media, irrespective of their specialty. MSM: Will A Real Journalist Please Stand Up? So begins today’s New York Times editorial entitled “Treating You Better for Less.” After reading the shallow piece, it hard not to stand in awe of their limited perspective and understanding of the complexity of reining in health care costs in America. What is dysfunctional is the administrative and third-party overhead in health care today. One only has to look at the examples given in the editorial to see what I mean. I'm seeing cost savings there, aren't you? Which is exactly my point. Patients are not seeing these "savings." The system is. Our costs (need I remind anyone who pays a health care premium) have continued to skyrocket year after year after year. But it doesn’t stop there. You see Virginia Mason has set up a screening program for their large corporate buddies Starbucks and Aetna to treat back pain. Imagine: “by finding ways to separate out the uncomplicated cases (can you say questionnaires and mid-levels) they figured that if they just send people to physical therapy rather than ordering MRI’s, they save everybody money! Wow. Incredible. Millions "saved" there, I'm sure. Here's an idea, Starbucks: why not avoid the hospital system all together. Send 'em to physical therapy yourself! What's that you say? You're worried about liability risks? Oh, I see. Yeah, I guess that IS expensive, isn't it. But please, don't mention the need for libaility reform. Even better: “Premier, Inc. an alliance of more than 2600 hospitals across the country has been testing ways to save money and improve care.” How have they done this? Well, the editorial claims they have “reduced unnecessary laboratory and screening tests” and “reduced labor costs by eliminating inefficient processes” by using “caseworkers and administrative assistants rather than nurses to call patients to remind them of appointment checkups.” Seems like another way to make sure people keep using the system to me. Tons of cost savings there! Seriously, how does an “alliance” of 2,600 hospitals save anything except lobbying costs on Capital Hill? Even more egregious: “Premier reported in January that over a three year period, 157 of its hospitals in 31 states saved almost 25,000 lives and reduced health care spending by nearly $4.5 billion, roughly 12% of the total three-year cost of care at those hospitals.” Now I have to ask myself: what about the other 2,243 hospitals in Premier’s network? How’s their track record been? Might we be missing something? It is increasingly difficult to find real, credible investigative reporting and objective commentary regarding health care “reform” in today’s main stream media (MSM) and scientific journals. The world of sound bites and spin in our rush to "save costs" have become more important than facts and data. We are talking about health care in America. We are talking about the incredibly challenging task of reducing costs in health care while trying to maintain some modicum of quality in a system of self-serving interests that are much larger than those of the doctor and the patient. Jobs are at stake. To me, cutting administrative overhead in our bloated health care system should supersede ANY efforts to claim we’re “saving” a paltry 25,000 lives by administrative fiats rather than altering the mano-a-mano health care given by real doctors and nurses who work tirelessly each day in America’s health care system. Believe me, they save many more than 25,000 lives each year across America. But we'll never hear that story, will we? I might start asking myself who wrote today’s lead editorial in the New York Times. * Premier health's press release. For another, more enthusiastic endorsement of Premier's corportate efforts: see The Happy Hospitalist. I have a favor to ask of my readers. There are moments in life where small random acts of kindness make a real difference for others. I was the recipient of one such act last week. Now before I go on, readers of this blog are cautioned that this post is primarily directed to my Chicago-area readers (or those who have friends in or around Chicago). Last week, I lost my wallet. I knew I had it earlier in the day and left to play a tennis match with some friends at our local park. After playing for two hours, one of my tennis partners pulled me aside to discuss a "private matter" about his health. We sat on a park bench in the shade and he reviewed the specifics. I helped him understand a bit about the medications he was taking. He thanked me and we went our respective ways. Upon returning home, I had a flurry of things to do on my wife's "honey-do" list, paid a few bills, and took a shower. Some time later, it was time to head out to the next activity and as I got dressed, realized I could not find my wallet. So I did what most people so: tried to reconstruct the day, checked and re-checked my pockets, scoured the car, the house, and told myself "it'll probably show up" if I just take a break for a while. Needless to say, it never showed up. I looked again and again, retracing my steps, and eventually came to the realization that I had better cancel my credit cards and make plans to get a new driver's license. I was to do that today. But I received a message from a Good Samaritan at work yesterday. They had found something of mine. Total strangers, mind you, but they called my work and left their number. So I called. It seems they had tried to drop my wallet off at my house and no one was home. Seeing as there was over $100 in the wallet, they didn't want to leave it in our mailbox. They weren't sure what to do but eventually found my work ID in the wallet and called my office. Thanks to them, I picked the wallet up today. As I arrived at the house, there was a young mother and her (I'm guessing here) 5-year-old daughter who came to the door with my wallet. Everything was there. Every dollar, every credit card, license, ID - everything. She assured me nothing had been taken. Nothing was. It seems her daughter found the wallet beneath the bench I had sat upon with my friend after our tennis match. She brought it to her parents who scoured the park looking for the owner, but I had already left to return home. As I picked up my wallet today, I offered to buy them dinner and to give them the money that was there. She refused but included a business card with the wallet of her husband's remodeling business. "If you ever need remodeling..." she said, graciously smiling. And please, tell them a very appreciative doctor sent you. Doctors are an inquisitive bunch. The diagnostic challenge, new innovations that come our way, and the constant variety of various pathologies we encounter are some of the best parts of what we do. But if you want to kill a doctor, make things rote. Increasingly I see a push toward the checklist, the proscribed, the "clinical pathway" in managing patients. We are getting incredibly good at making production lines in medicine. Bring 'em in, get 'em out. Time and time again. While there are benefits of managing patients with such an approach in terms of health care "efficiencies" and reducing some errors, these checklists, automation, and their associated lack of thought are also inducing higher-than-usual rates of clinical complacency. Too often we assume, too often we expect, too often we overtest, too often we fail to double check -- after all, it's automated! And it's not just with clinical care. The other day, while I had to get a new hospital ID badge, I noticed the subtitle below my name had changed from "Cardiac Electrophysiologist" to "Medical Group." While I'm sure it's efficient to describe all doctors as "one group of doctors," we lose our identity, our meaning, our purpose for all of these years of training and specialization. When specialists become groupies, our former multi-colored specialty world is reduced to the drab, grey world of group-think. Group-think for patients, isn't always the correct-think. Making things the same, risks making things routine. Making things routine, risks making them seem boring. Making things boring, risks inducing complacency. So let's keep some variety. Take the "road less traveled" sometimes. After all, being an outlier isn't always bad; rather it's within our normal distribution.